In this study, we use a unique dataset covering all higher education institutions, public research Institutions and private companies that have applied for funding to the European Framework Programs for Research and Innovation in the period 2007–2017. The first aim of this study is to show the composition of R&D performing actors per country, which to the best of our knowledge has never been done before. The second aim of this study is to compare country profiles in R&D composition, so that we may analyse whether the countries differ in concentration of R&D performing institutions. The third aim of this study is to investigate whether different R&D country profiles are associated with how the R&D systems perform, i.e. whether the profiles are associated with Research and Innovation performance indicators. 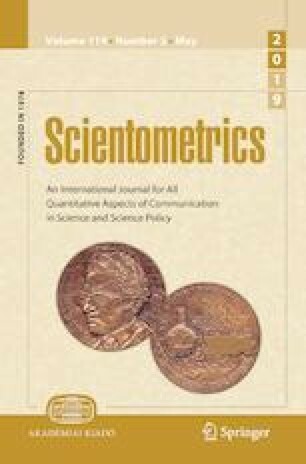 Our study shows that the concentration of R&D actors at country-level and within the sectors differ across European countries, with the general conclusion being that countries that can be characterized as well-performing on citation and innovation indicators seem to combine (a) high shares of Gross Domestic Expenditure on R&D as percentage of GDP with (b) a highly skewed R&D system, where a small part of the R&D performing actors account for a very high share of the national R&D performance. This indicates a dual R&D system which combines a few large R&D performing institutions with a very large number of small actors. This study was funded by R-QUEST, Research Council of Norway Grant Number 256223.